Toast In The Post is the culmination of a long-term vision of a fully integrated and synergised toast-based online platform, specialising in the preparation, handling, and speedy delivery of toast. In other words: if you want toast, you came to the right place! We are the only fully developed and social media integrated enterprise-grade platform that deals exclusively with long-distance toast. With our trademark production integration systems, and operations management profiling software that gives our clients the very cutting edge in toast technology, we can safely say that nobody posts toast like we do. For all of us here at Toast In The Post, transparency is a primary concern. As such our method is highly optimised and naturally open, ensuring that our clients' considerations are fully operative at every level of the process. With the latest SEO integration and semantic search functionality at your fingertips, it has never been easier to find the perfect toast for you! All our toast is couriered securely and packaged with the latest butter-sealant technology. You should receive your toast within 3 to 5 business days. You will need to sign for your toast, so make sure you are available at home for the entirety of the 96-hour delivery window. We're not saying that toast will fill the emptiness in your heart and calm your restless soul, but we're not saying it won't. Why is my toast cold? It was hot when we posted it, we promise. 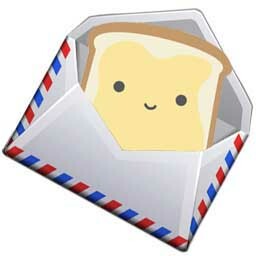 How much is Toast In The Post? Oh, let's say tenner a slice. Isn't it illegal to send perishable goods by Royal Mail? What am I, a lawyer? Absolutely, but we're still doing it. Questions? Fill out the form and one of our fully trained and licensed toast technicians will be with you right away! This is a joke, do not expect to recieve any actual toast from us.